“The built environment plays a huge role when it comes to people being able to be physically active, ” says Grant Vitale, community programs manager for the Consortium to Lower Obesity in Chicago Children (CLOCC). The group, based out of the Lurie Children’s Hospital, is an association of many local, statewide and national organizations working to help kids maintain healthy weight levels by encouraging better nutrition, as well as walking, biking and active play. The consortium has also helped spread the word about Active Trans’ Open Streets events, which have closed roadways to car traffic along the West Side boulevards, downtown and Wicker Park/Bucktown to make room for healthy recreation. CLOCC also promotes Play Streets, a program that holds block parties in low-income neighborhoods with activities ranging from Zumba to basketball to parachute games. “We try to drive—pardon the pun—traffic to those events so they get a good number of participants,” Vitale says. 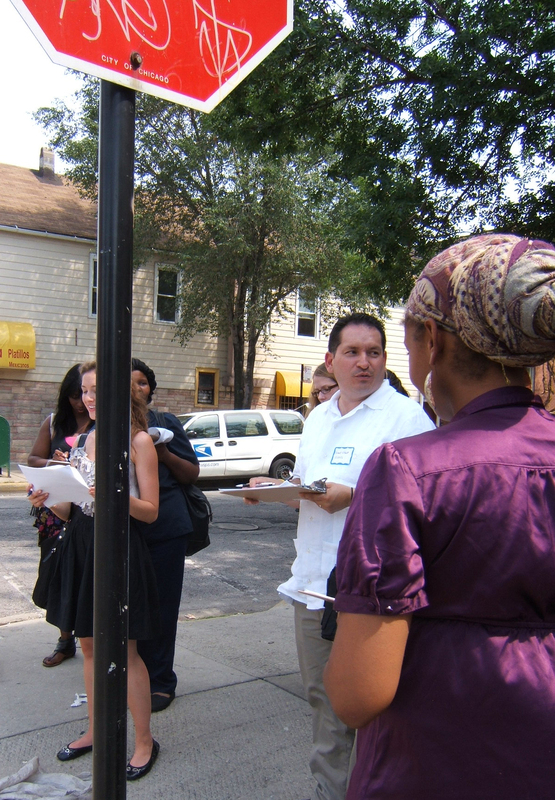 Some of the highest-profile work that CLOCC has done for safe streets took place after a young woman named Martha Gonzalez was killed by a hit-and-run driver at 18th and Halsted in Pilsen in 2009. “As a result of that pedestrian crash and fatality, family and friends came together as the Martha Gonzalez Memorial Foundation, and now it’s a larger group of concerned residents, to really examine that intersection to see how it could be made safer,” Vitale says.